Wake Forest is a small town twenty miles northeast of Raleigh. 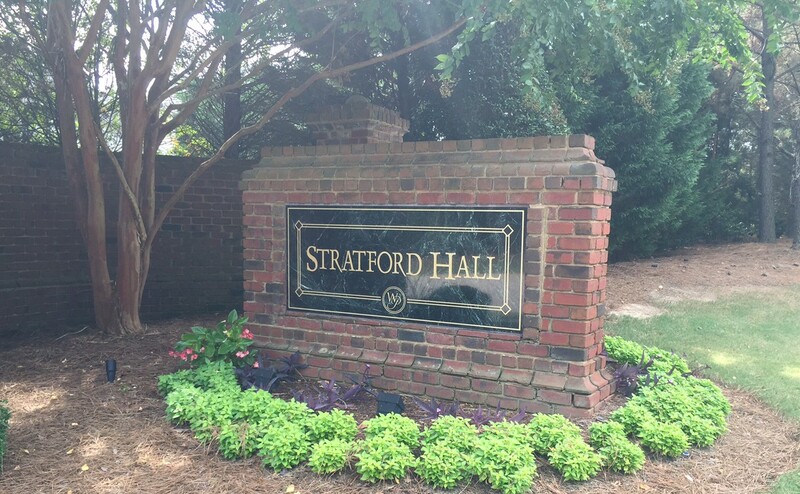 Most of you already know that Wake Forest University is not in Wake Forest. The Reynolds tobacco people donated so much money to Wake Forest College that in 1956 they moved the college a hundred miles west to Winston-Salem. Since the move by the Baptist institution, the buildings of the former college have mostly been used as the Southeastern Theological Seminary. I realized I had never bicycled there. So Sunday morning I drove from Chapel Hill to a street near central Raleigh, pulled the bike out of the trunk, and biked off north, towards Wake Forest. I was soon to learn that there is no more real farmland or woods between Raleigh and Wake Forest; it is pretty much continuous suburban housing. 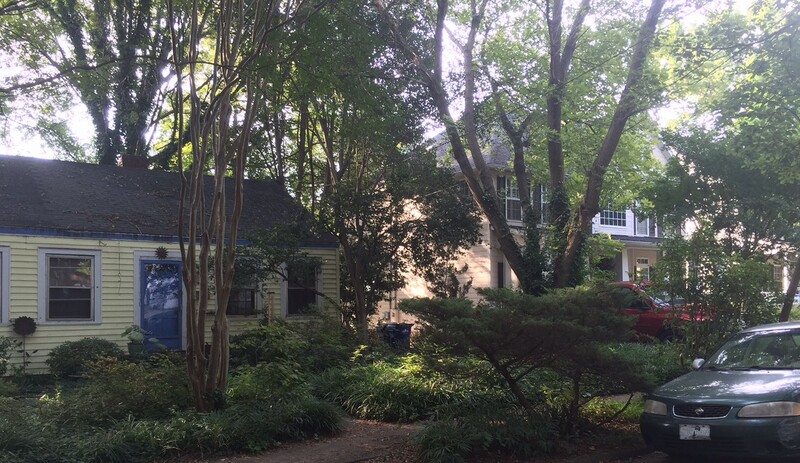 The first part of the ride was through older Raleigh neighborhoods. Living “inside the Beltline”confers bragging rights in Raleigh, where a lot of money has arrived over the past twenty years. Neighborhoods of postwar houses are being replaced, house by house. Tear downing has become ubiquitous. In the area of Five Points East, tiny crackerbox houses are being replaced by much larger ones, some of them gaudy. St. Mary Street has some of the most egregious examples. 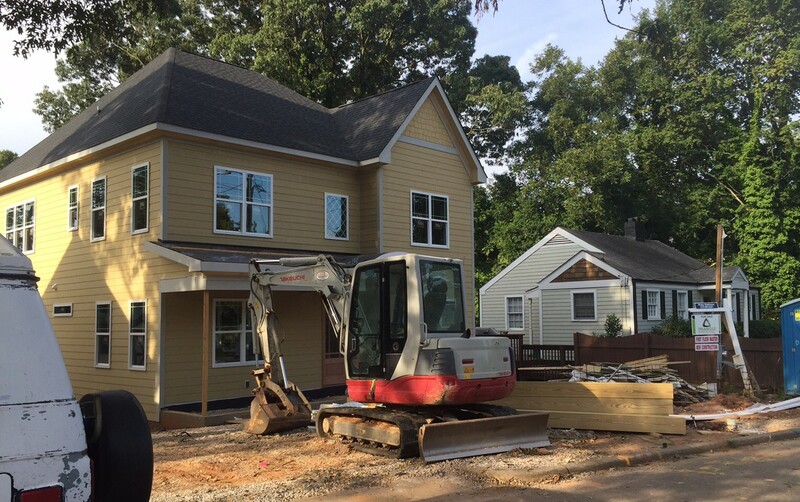 Outside the beltline, suburban housing goes on for miles and miles. Using Google Maps, I was able to find a pretty safe ride through residential streets and greenways. 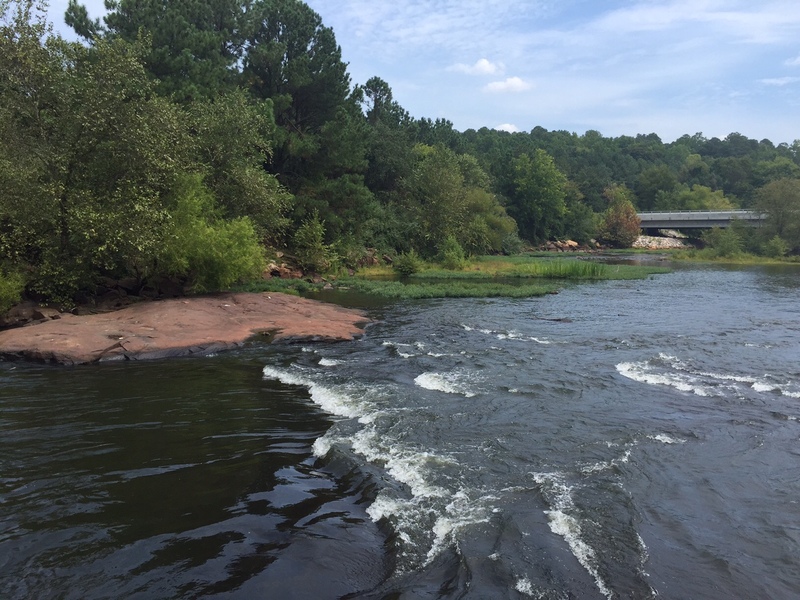 We all have heard of Falls of the Neuse Road, but I had never actually seen the Neuse River Falls. It was kind of a letdown, just some rapids below the huge dam that creates Falls Lake. 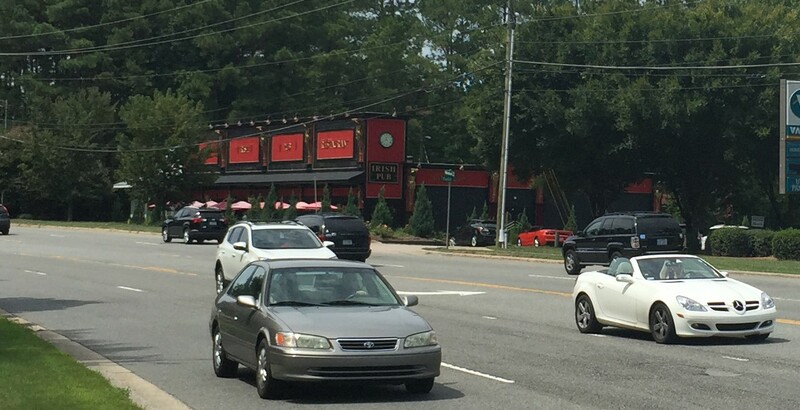 Somehow it seems weird to have an Irish Pub on a wide suburban highway. 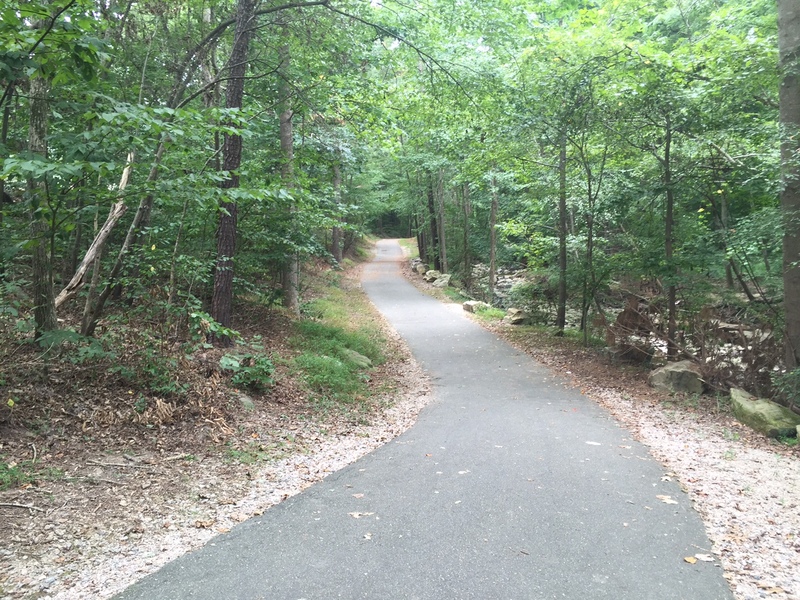 Raleigh has a tremendous series of greenways, about 112 miles worth, according to one source. The only real issue is that they follow stream beds and flood plains, so they do not always go where you are traveling to. But they can be a very chill bike ride. Downtown Wake Forest was just OK, not a lot to get excited about. I did have a nice fruit smoothie in a coffee shop, then turned around and rode back to my car in central Raleigh.